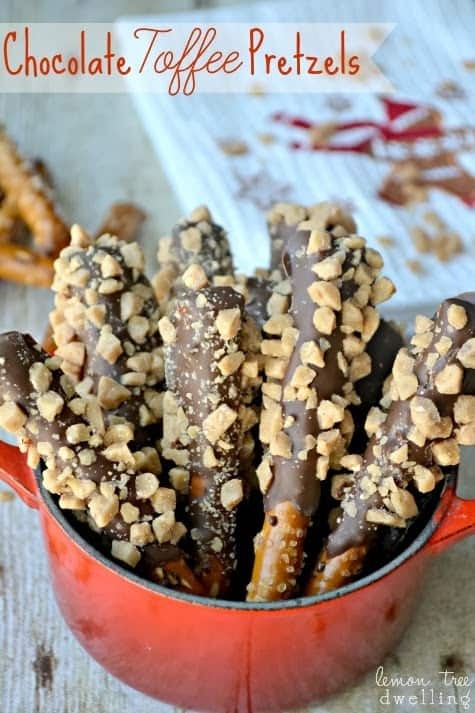 Chocolate Toffee Pretzels are a quick and completely addicting treat! 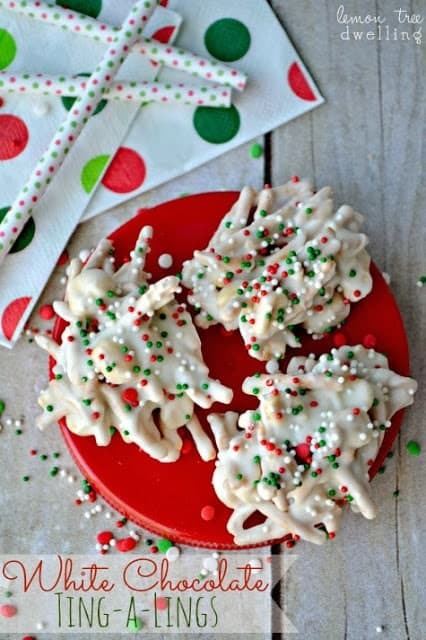 This 3 ingredient snack is so simple to make, you will make batch after batch to give away as gifts! There’s something about having it all together that is really appealing….you know? Being one of those people who always seems to look good, have their hair done, their house clean, their children adorable….? It took me a long time to be okay with the fact that that’s just NOT me! I am much more likely to be unshowered with my hair in a ponytail, wearing at least one piece of clothing I wore to bed the night before…..and I’ve long since given up the battle with my kids! But…I have to admit…I still like to fake it! What do I mean by fake it? Well….I mean doing little things to make it SEEM like I have it all together. Like getting dressed cute and putting on makeup, despite the fact that I haven’t showered in two days. Or having the majority of my house cleaned up and crossing my fingers that people don’t look in the laundry room, my bedroom, the basement….because they’re disastrous! Or explaining my kids’ disheveled appearance by playing up their creativity and strong will….because it takes the pressure off of me to have them be constantly put together, too! Another way I like to fake it? In the kitchen!! Because the LAST thing I have time for is being “put together” in a way that means spending all day on a recipe! My time frame is more like a half hour! But….I still want to make things look and feel special…..which is easy to do with the right ingredients and a little creativity. 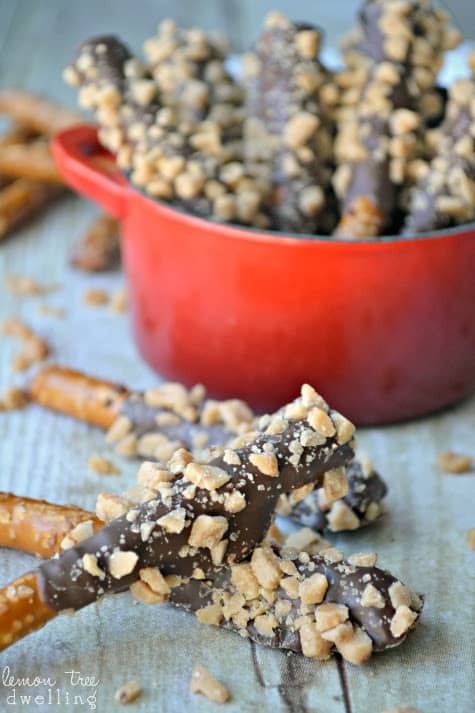 These Chocolate Toffee Pretzels are a perfect example. 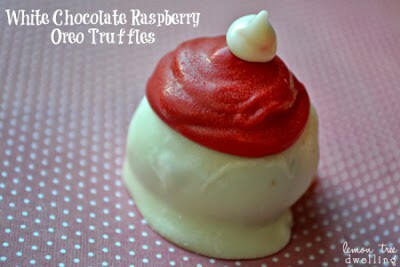 They take LESS than 30 minutes to make, they look great, and they taste even better! 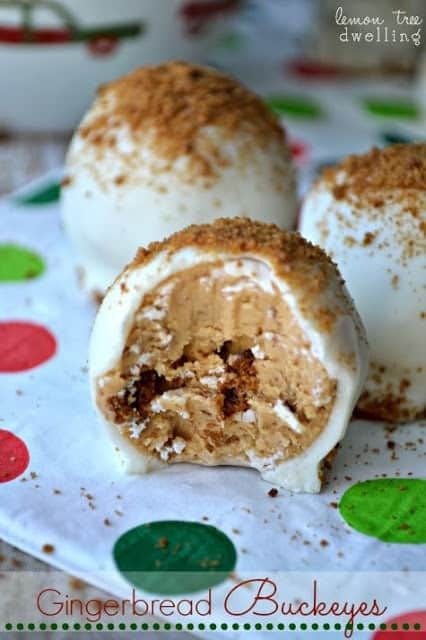 They’re sweet and salty, with a hefty dose of crunch and just the right amount of toffee…..which means they leave you wanting more every time! Pretty good faking it, if you ask me! 1. Melt chocolate over low heat, stirring constantly. 2. 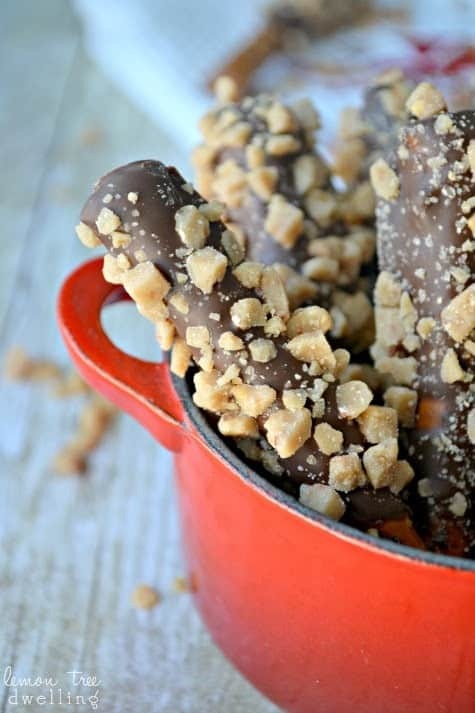 Dip pretzel sticks into melted chocolate, covering 2/3 of the pretzel. 3. 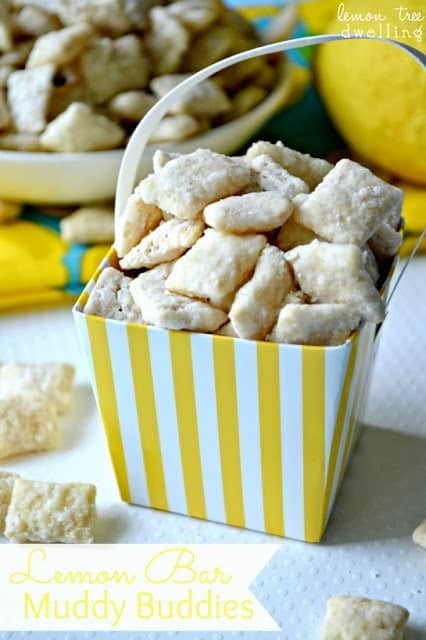 Lay on wax paper and sprinkle generously with toffee bits. 4. Cool until completely hardened. Store at room temperature. Here are some more great ways to “fake it”! You have the greatest ideas. Love the toffee bits on these! 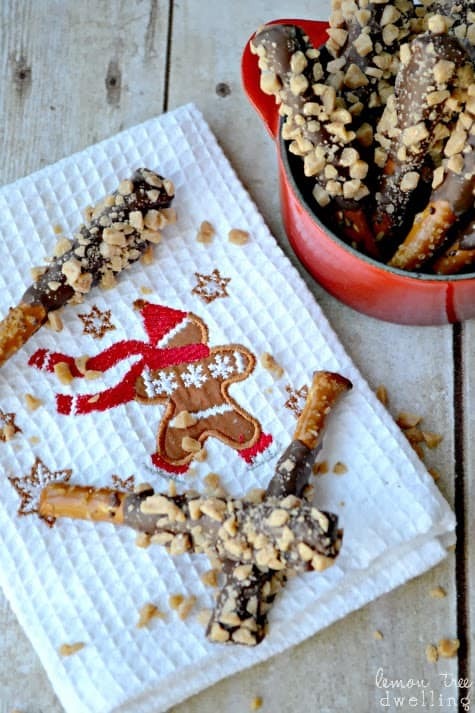 Guess I’ll be adding these ingredients too – need the toffee! Oh and yes, I’m one of the ponytail wearing – clothing from the night before too! 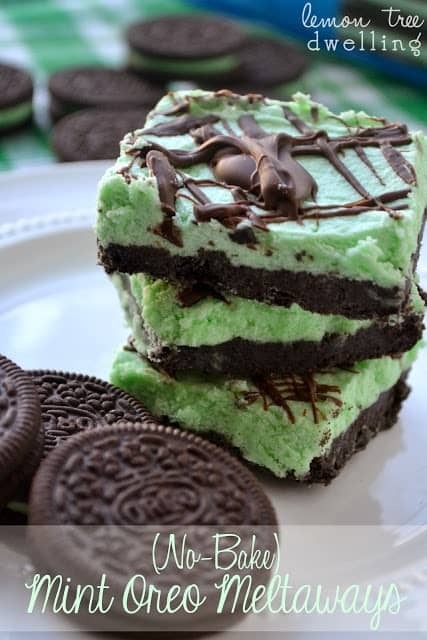 These looks so good. 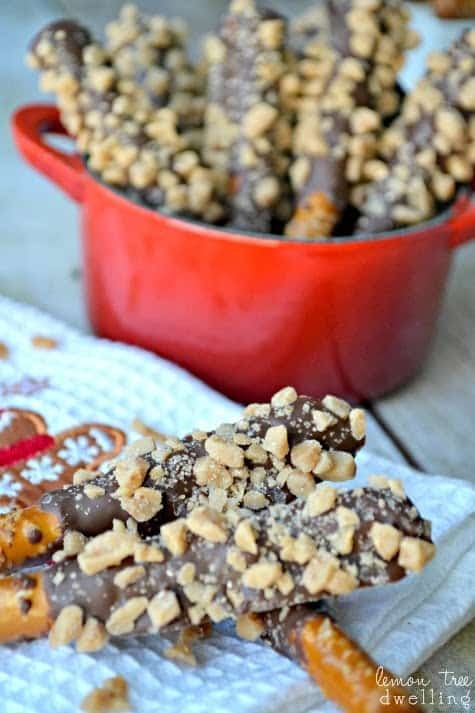 I may just have to make these pretzel rod treats. I actually have toffee on hand. Oh my goodness, this post is just what I needed to stumble over today – the whole faking part. You made me smile – and I am grateful to know I am not the only one who hasn’t showered in two days and my rooms (the ones out of immediate sight) are disastrous! Thanks for being honest and sharing!